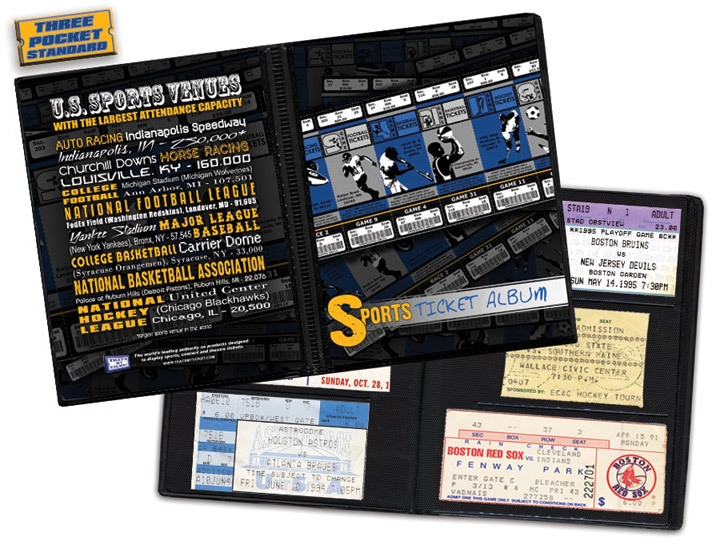 Regular: 20 (W) x 11 (H) x ¾ (D) Officially licensed by the IMGCL's College Vault, Mega Tickets® are sports history turned into unique wall art. 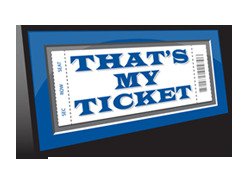 They are created from actual game tickets, enlarged approximately 500%, printed on archival canvas and hand wrapped on wooden stretcher bars. Perfect for autographs. 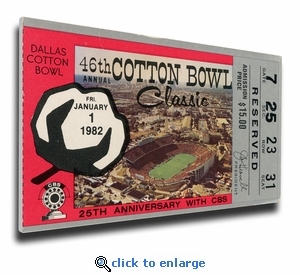 The 1982 Cotton Bowl Classic was a postseason college football bowl game between the Texas Longhorns and the Alabama Crimson Tide. Texas won 14-12. Capture the memory of this event with a Mega Ticket.